Аннотация к книге "To Room Nineteen (Collected Stories)"
From the Winner of the Nobel Prize for Literature 2007, a collection of some of her finest short stories. 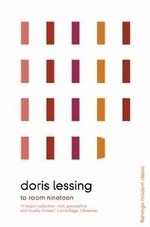 For more than four decades, Doris Lessing’s work has observed the passion and confusion of human relations, holding a mirror up to our selves in her unflinching dissection of the everyday. From the magnificent ‘To Room Nineteen’, a study of a dry, controlled middle-class marriage ‘grounded in intelligence’, to the shocking ‘A Woman on the Roof’, where a workman becomes obsessed with a pretty sunbather, this superb collection of stories written over four decades, from the 1950s to the 1990s bears stunning witness to Doris Lessing’s perspective on the human condition.